It’s been said that good holiday packing is an art form; a place for everything and everything in its place. Unfortunately, we can’t all magically transform into Mary Poppins when the time comes to pick out all those holiday essentials and pack them away neat as a ninepins. And things get even more tricky at Christmas when there are piles of presents and Christmas jumpers to think about. 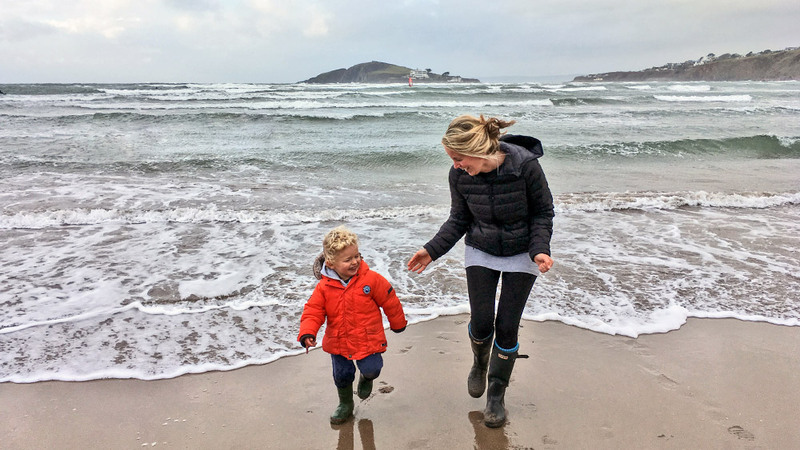 From Cornish coastal paths to the rugged tors of Dartmoor, if you want to explore the West Country this winter make sure you wrap up warm! Walking or wellie boots, all-weather gear, thick jumpers, scarves, winter hats and gloves are all essential for the chilly season. Packing some of your favourite cosy loungewear for those snuggly cottage holiday downtimes is also a must. A thermos flask is a welcome bit of kit to have in your winter walking armoury, especially when it’s filled with some hot soup or milky hot chocolate. Ice scrapers for your car windscreens are a godsend on those frosty Christmas mornings. If you’re the kind of person who likes to be prepared for anything, a folding car shovel and bag of grit rock salt could make you hero of the hour down the narrow West Country lanes! A bulky food shop is the last thing you’ll feel like doing when you finally touch base at your South West holiday cottage, especially after a lengthy road trip. Travelling with a few essentials such as your favourite tea and coffee and a packet of biscuits or mince pies will help keep you and your loved ones spirits up before you explore the local shops and markets to stock up ‘self-catering-style’. 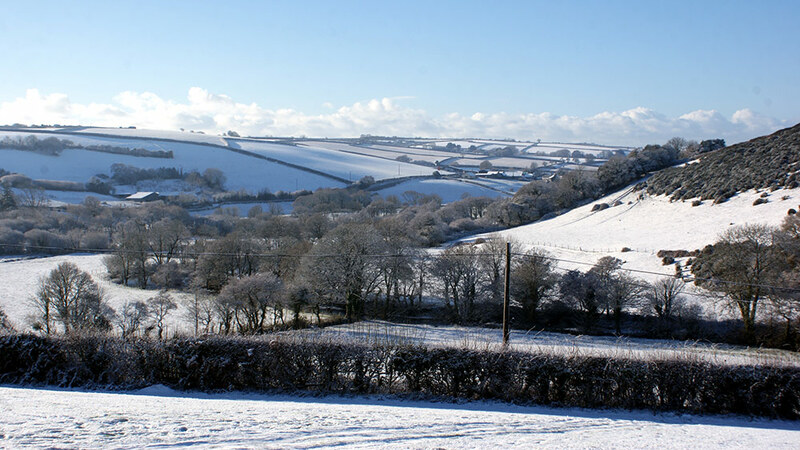 If you just can’t face the thought of shopping, there are always the West Country’s friendly local pubs, restaurants and takeaways to come to your rescue, or you can order an online food shop to be delivered to your cottage when you arrive. A car rooftop box is a great place to keep Christmas presents away from prying eyes. Other spaces such as the glove compartment are on the small side, while cramming things in with the spare tyre isn’t very practical as ingenious as it would seem. Your best bet is to stash your pressies in a holdall in the car boot under the rest of your holiday load, although careful not to squish anything. When the coast is clear and your little scamps are tucked up in bed dreaming about tomorrow’s adventures, you can sneak in your festive stash. We all dream of waking up to a magical white Christmas and dreams sometimes come true. Keep an eye on the weather forecast and those Siberian snow fronts. If there’s a strong chance of snow fall, you don’t want the kids to be without a sledge – endless fun guaranteed! As exciting as it may sound, getting snowed in or caught in a storm without some basic supplies isn’t much fun, so stay checked-in with those weather apps. The beauty of packing for a self-catering cottage holiday in the UK is that you don’t need to worry about such things as passports and foreign currency. However, don’t forget those vital items that will help make your holiday run smoothly; comfort blankets and favourite soft toys, mobile phone chargers, holiday books and board games, toothbrushes and toiletries, water bowls and dog beds (that’s if you’re bringing along your four-legged friend) and other useful bits and bobs such as maps. You might even want to pack your bathers in case you get the urge for a Boxing Day dip! No.5 Roll your clothes rather than fold them to reduce creases and wrinkles while also saving space. No.4 Wear you heavier clothing items on the day of your journey; there’s no point in trying to cram your bulkiest winter jumper into your bag or suitcase when you could be wearing it en route. No.3 Try to plan your outfits: you might want to pack something a little swish for that New Year’s Eve soirée down at the local village pub but try to avoid packing outfits you’re not likely to wear and that don’t fit the season. No. 2 Invest in some packing cubes to help you make the most of your space and keep things ultra-organised. No. 1 Wrap up any valuable items such as perfume, watches and jewellery in socks to offer some extra protection and padding. Whisk yourselves away to the West Country with Toad Hall Cottages. Have a look at our latest special offers and start planning your South West adventure.